In what may be an apt example of the lack of security in sub-divisional Bhergaon town in Udalguri, the residents of the locality and its neighbouring places have been deprived of basic banking service like ATM. The ATM service of Bhergaon State Bank of India (SBI) remains defunct since it was looted by miscreants years back. It is to be mentioned that the branch which was inaugurated way back in April 3, 2012 and the ATM which was looted by miscreants on 28 November 2014, it has been lying non-functional since then. 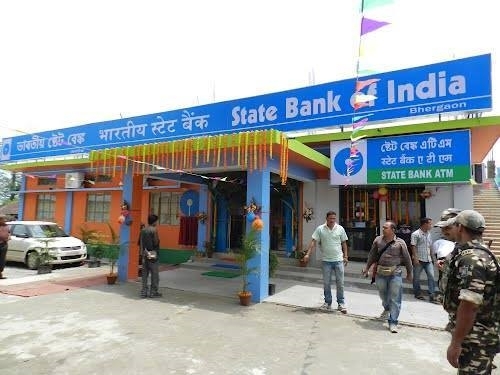 The repeated appeal of the locals, student organizations to the SBI authorities to resume the ATM service to ease their hardships of travelling to neighbouring places like Tangla to withdraw money have largely fallen on deaf ears. Sources said that the bank authorities have been largely apathetic. Locals are of the opinion that if necessary armed security can be deployed at the ATM as availaible through security agency, but for how long will the bank deprive the people of ATM service. Another problem of locals include presence of Customer Service Point (CSP) only at Bhergaon SBI premises instead of remote areas. Locals said that they were facing a lot of inconvenience and urged for opening the CSP’s in neighbouring places too. The locals had raised the issue several times with the bank officials but to no avail. The locals have exhorted the government and S.B.I authorities to look into the matter and restore the ATM service at the earliest.